Our much awaited calendars are out! Filled with beautiful drawings by our talented children, this table top calendar marks all the important events in the Hindu Calendar, and lists all the Malaysian Public Holidays as well! 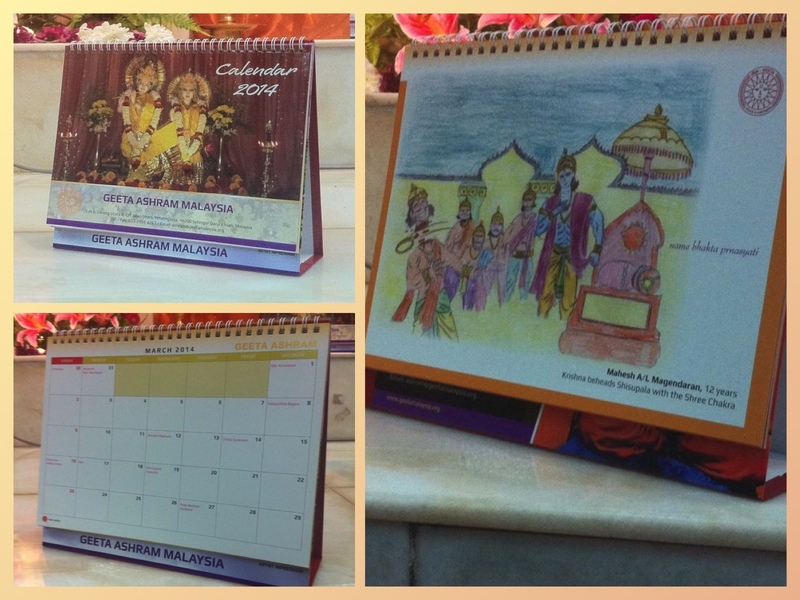 Calendars are priced at RM15 each and all proceeds go towards the Ashram. It’s the perfect gift for the season! For more information about the calendars and to make orders (everyone, all over the world is welcome to order! ), drop us an email at gayouth@yahoo.com.